Ghanaian Afro-pop and Dancehall artiste, Vera Hamenoo Kpeda popularly referred to as MzVee has backed actress Tonto Dikeh for opening up about her marital abuse. Tonto Dikeh in an interview few weeks ago spoke about her failed marriage to her estranged husband, Oladunni Churchill and the ordeal she had to endure during the marriage. During the interview, Tonto Dikeh insisted that she suffered domestic violence while she was with her husband. “The domestic violence is real. How I lived to suffer it and go through it over and over again, I do not understand. A lot of people have blamed me. A lot of people have said a lot of things. I stayed back in my marriage, not because of my child, but because I loved my husband with all of my heart. I stayed because he begged me to stay a couple of times,” the beautiful actress revealed with tears in her eyes. 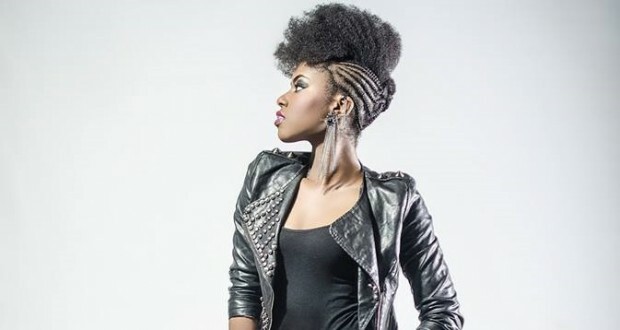 MzVee, who made an appearance on the award-winning Celebrity Fanzone last Saturday on GHOne TV, expressed her support for the actress arguing that it will help a lot more other people come out to share their abuses in marriage. MzVee however rejected arguments that Tonto Dikeh is sharing too much of her personal life after she doubled down on her claim in several Tweets on Instagram last week. “The truth will always provoke lies. Laughing and dancing to my New song. “Gun my feet. Drunk my feet. Liars the only thing you get right is your lies. “Things yahoo boys do. I live you to God. Fraudster! Jesus won already. I’m too focused on positivity. Say no to domestic violence! “Who reads the news of how you killed our unborn through domestic violence? Murderer! “Same man who read your news should looking on your 419 schemes as well, “God over everything,” the embattled actress tweeted. Jessica Opare Saforo, co-host of Celebrity Fanzone also backed Tonto Dikeh for coming out but cautioned against sharing too much of our private lives on social media. “If she is able to come out the way she did, to tell her story, she’s opened a whole box of the people who go through domestic violence. I think that she is saying too much. As people, we need to measure what we share. We share too much. It is the like the need to share every aspect of our lives on social media is blinding us from what actually matters,” Jessica cautioned. Celebrity Fanzone now airs on GHOne TV every Saturday at 9pm.